Solid smooth finish 5/8" thick Birch plywood. Tapered ends for easy use. 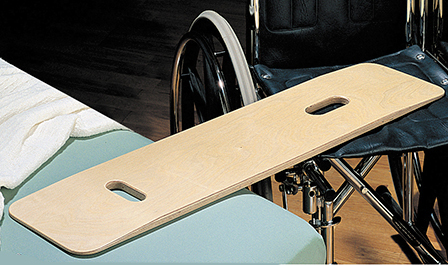 Facilitates patient transfer from wheelchair to bed or table etc. Two perpendicular hand slots for easy handling. Size: 8" x 35" Weight Limit: 500 lbs.